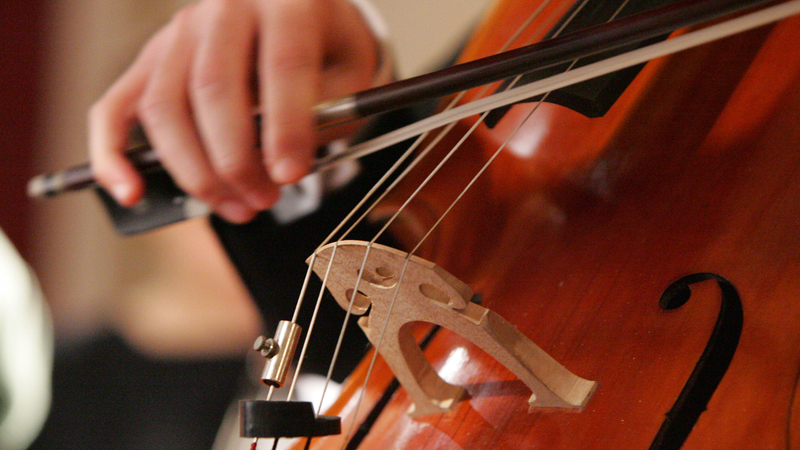 Incanto Theatre announced its upcoming cello recital, a classical music concert full of talented and awarded musicians you can’t miss next February 17 and 24. 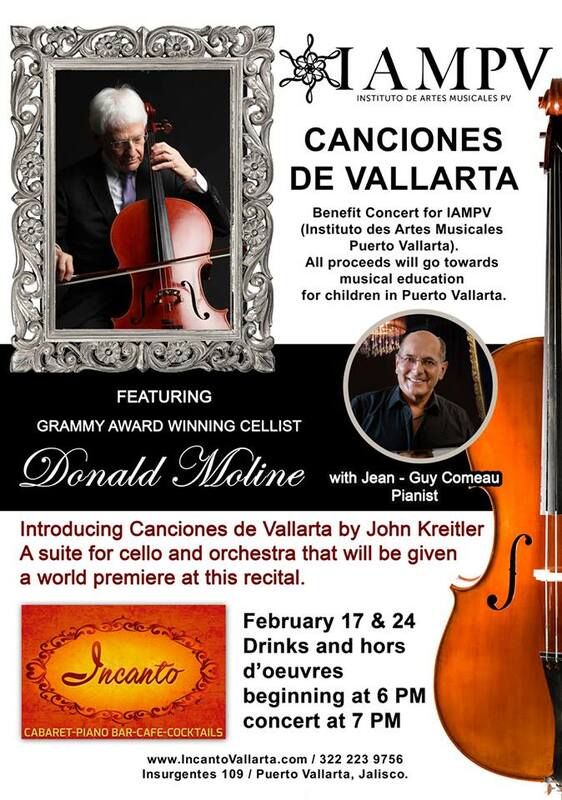 The recital will feature Donald Moline, accompanied by Jean-Guy Comeau, both performing a suite for cello and orchestra especially composed for this event: Canciones de Vallarta, which will be performed for the first time as a World Premiere. Donald Moline is a Grammy Award winner cellist and has established a distinguished orchestral, chamber music, solo and recording career. A member of the Chicago Symphony Orchestra for more than 39 years, he has been awarded the Theodore Thomas Medallion and has performed worldwide with some of the greatest conductors and musicians. Jean-Guy Comeau holds degrees in pedagogy, voice and piano; and works in Montreal and Puerto Vallarta. The two will be performing Canciones de Vallarta, a suite composed especially for the event by 10-time EMMY-winning musician John Henry Kreitier, a well-known composer of concert, film, TV and theatre music, who resides part time in Mismaloya. All of the proceeds from these events will go to IAMPV (Instituto de Artes Musicales Puerto Vallarta), a non-profit organization that provides musical education for students in Puerto Vallarta and Riviera Nayarit. Both evenings will begin with drinks and hors d’oeuvres at 6:00pm, followed by a 7:00pm concert. During the first hour there will be performances by some IAMPV students. Incanto Theatre is located at Insurgentes 109, Col. Emiliano Zapata in Puerto Vallarta; along the river Cuale just before the bridge. For more information and/or reservations please visit IncantoVallarta.com or call (322) 223-9756.